The Convert OST to Office 365 Tool is a well build algorithm having an ability to perform selective/bulk migration of the files. The Upload OST File to MS Office 365 utility is one of the best constructive desktop/laptop data conversions. 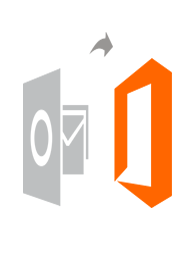 Convert OST to Office 365 Demo version allows exporting 25 items per folder. OST files are the replicas of Exchange Mailboxes data. If Microsoft Outlook configured with the Exchange Server while enabling the Cache mode, the Offline OST files are made. The basic issues and problems in Offline Storage files are the synchronization failure issues. Some of the reasons are deletion, recreation, relocation of the mailboxes. It makes OST files difficult to access. Why Migrate From OST to MS Office 365? Now days, all the files are required to be stored from Offline Storage to Cloud platform by the users. The need is that if in case users need to migrate platforms users can easily download data from Microsoft Outlook to Exchange Online. People prefer selection of cloud platform because the files they want is easy to get from Cloud storage. So, Convert OST to Office 365 is the best utility in these terms. The Upload OST File to MS Office 365 tool can be considered as a helping hand when it comes to migrating the files from OST to Microsoft Office 365. The tool has a brilliant designing algorithm that makes it a stand-alone utility across the globe. Is it necessary to put the credentials of Office 365 account to upload OST to MS Office 365? Yes, it is important to type in the credentials of Office 365 account for security proposes. Does Convert OST to Microsoft Office 365; moves the selective or required OST files or folders? Yes, it can transfer only the selective OST files or folder easily. On the other hand, bulk migration is also possible. No, the Upload OST File to MS Office 365 software has no file size restriction. You can move any number of files you want effortlessly. I am accessing MS Outlook 2010. Can I import my PST data into Office 365? Yes, the Convert OST to MS Office 365 program has been designed in a way that it is compatible to import the data of any version of Outlook. 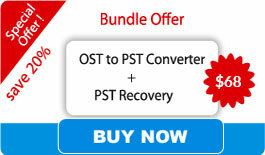 “While accessing the Convert OST to MS Office 365, I felt like so much relaxing as it served my purpose. The features of the Upload OST File to MS Office 365 Tool are simply out of the box. It performed the function with an astonishing feature of date filters. Kudos! for the developers for this marvelous tool”.